Performing the Digital is a transversal collection of texts addressing the conditions and effects of performativity in digital cultures. It considers performance not as an exclusively art-based concept, but as one that can be extended to the whole dynamic nature at the core of digital processes. Moreover, the symbiotic relationship we have with our ubiquitous digital devices lets us (and other concrete and abstract entities) “perform” continuously through the connected online infrastructures. 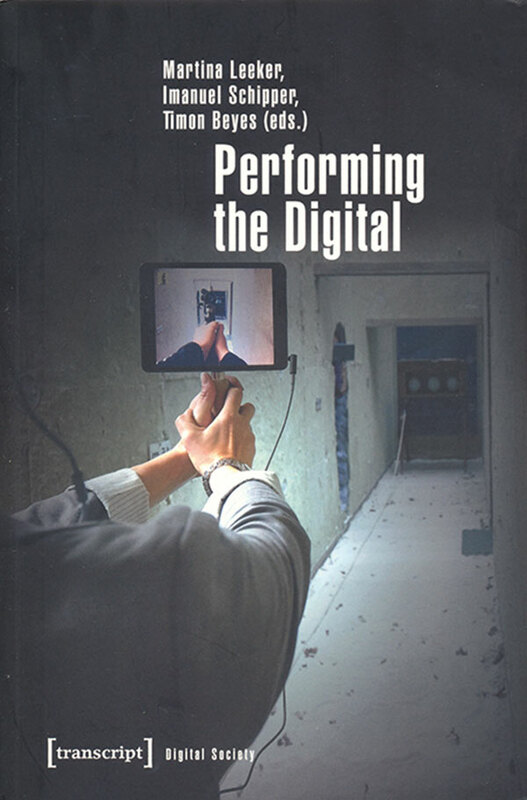 The editors here give the impression to have comprehensively worked to extend the notion of ‘performance’ itself to diverse fields, all involving a specific form of digital involvement. So, the invited writers are contributing, for example, to elaborate the role of the posthuman as a new decisive element in these dynamics (Beyes), the central inclusion of the spectator in performative artworks (Schipper), the digital tagging in urban space games (Jahrmann), or the time-delay aware algorithms in high frequency trading (Lange). These “spaces” of performance are also related, for example, with “annotation” in digital choreography (deLahunta and Jenett), and a lacked notion of “crisis” in performance theory (Schröter). The whole outlined performative space and nature becomes an interconnected entity with many manifestations. In this scenario, the machinic is then meeting the infrastructural, designing a vast context which transcends the acknowledged paradigms of performances, inspiring a different, more complex cultural agenda.